The Chicago Bears free agent list is somewhat extensive going into 2019. GM Ryan Pace has money to spend but not a lot of it. So it’s likely he may have to make a few sacrifices in order to maintain roster stability for this coming season. Already he’s signed right tackle Bobby Massie to an extension, further limiting the resources. The question becomes at this point who will end up being the toughest decisions for Pace? These will be players who have a role to play on the roster, be they huge or small but could be difficult to replace if let go. At the same time, letting them walk could also have long-term benefits. Thus making for a hard decision. Here are five names that will be near the top of the to-do list for the Bears and why they’ll make for headaches. There is no question that Bellamy embodies the type of personality that the Bears love. A tireless worker who plays with confidence and unselfishness. Yet it’s also clear the team is trying to get better at wide receiver. Bellamy is a special team fixture for them but his prowess as a pass catcher seems maxed out as the #5 guy at best. He’s good for the occasional big play but he isn’t somebody who will routinely be able to beat NFL cornerbacks. Never mind that his hands remain C-grade. The odds are the Bears will be able to retain him at a favorable price but if they’re looking for possible upgrades on the offensive end, he might have to be one of their sacrifices. One of the unsung heroes of the 2018 season was guard Bryan Witzmann. He was handed a difficult situation when he arrived during the year. Kyle Long had gone down with a foot injury and his backup Eric Kush was dealing a neck issue. Witzmann had prior experience in Matt Nagy’s offensive system but it was asking a lot for him to step in as a starter. Things didn’t start out smoothly as he struggled to adapt to the blocking system and to his new teammates. However, towards the end of the year, he showed significant improvement, particularly in pass protection. This would naturally make the Bears want to keep him, but he may not wish to remain a backup and instead seek out an opportunity as a starter. This means the Bears either pay him more money or let him walk, hoping they can find backup help elsewhere. The Bears appear set for the future at their top two edge rush positions. Khalil Mack is a monster and Leonard Floyd really improved towards the end of the season. The key issue for the defense at this point is finding out who that critical #3 guy will be as part of the rotation. For most of 2018 that was Aaron Lynch, but it may not stay that way next year. Not just because his contract is up. 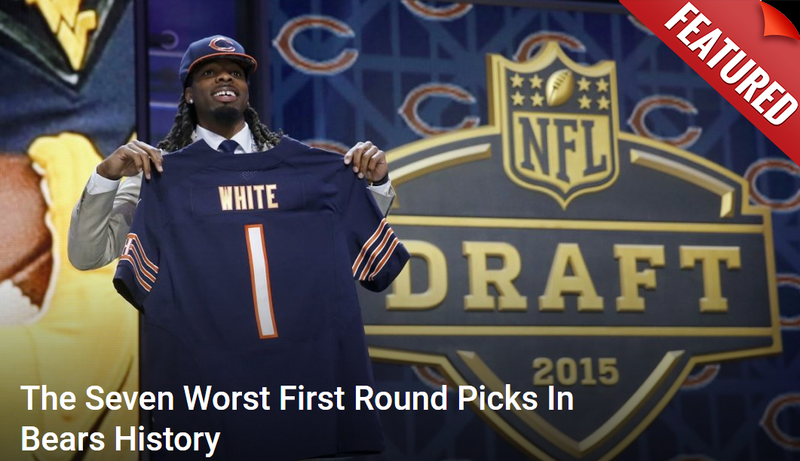 Keep in mind Lynch joined the Bears because Vic Fangio was the defensive coordinator. Fangio is now gone to Denver. Lynch could easily follow him. There’s also the fact that the 25-year old was dealing with constant injury problems that made his availability an issue for stretches of the season. This normally would be a no-brainer for the Bears given how well Callahan has played for them at slot corner over the years. The problem is it’s not that simple. He’s 27-years old and was an undrafted free agent in 2015. During that time, he has never once finished a season having played a full schedule. Injuries have hampered him every single year. Last season was no exception. In fact, it may have been the worse timing of the bunch. Not only did Callahan miss the rest of the season, but he also wasn’t available for the playoff game against Philadelphia. The most important game in almost a decade for the Bears. Pace has a history of paying too much money to players with health issues. He may not be wild about doing it again with Callahan. Not when his team is so close to a Super Bowl run. One of the final holdovers from the Phil Emery era. There have been numerous times where Pat O’Donnell could’ve gotten the boot and nobody would’ve batted an eye. The Bears have chosen to stick by him up to this point, signing him to a one-year deal in 2018. His contract is up once again and it’s difficult to say what they should do. O’Donnell had some good moments last season including a few excellent punts in the playoff game. However, he also had some rough ones including the punt that gave the Eagles great field position for their game-winning touchdown. At what point do they stop having faith he’ll improve and try to seek out alternatives?